Solar wasn’t always a viable technology for meeting our ever-increasing demands for electricity. Thirty years ago, meeting the electricity needs of the United States with solar power would have required enough PV modules to cover the state of Ohio. Today, that number is down 75% to 10,000 square miles—about the size of Massachusetts. Still a ridiculous figure for sure, but thanks to advancements in solar PV technology, every year it continues to shrink and it’s intriguing to think that perhaps one day just a few square miles of solar panels dispersed throughout the country might cover all our energy needs. Everything has changed. More efficient PV modules have dramatically improved the viability and potential of solar as a mainstay of power generation, and the growth of the energy storage industry is allowing homeowners, businesses and utilities to better store and utilize the energy they’re creating through renewable technology. But no solar technology has changed as dramatically as the inverter. Not only do inverters need to convert the DC energy from the panels to AC power, they must also be intelligent, smart-grid compliant and offer multiple communication and monitoring features, including Wi-Fi, cellular, Zigbee and powerline communication. They must also comply with a bewildering number of codes and regulations, and frequently communicate an equally exceptional amount of system data points, providing for an unprecedented level of system monitoring and analysis. More is being demanded of solar inverters than ever before. The pressure and need to create a brilliant, cutting-edge piece of equipment at a competitively mandated lower price point every year is an incredible challenge for inverter manufacturers. It’s not for the faint of heart, yet many manufacturers are thriving in this complicated, demanding crucible of a niche. So how are they doing it? 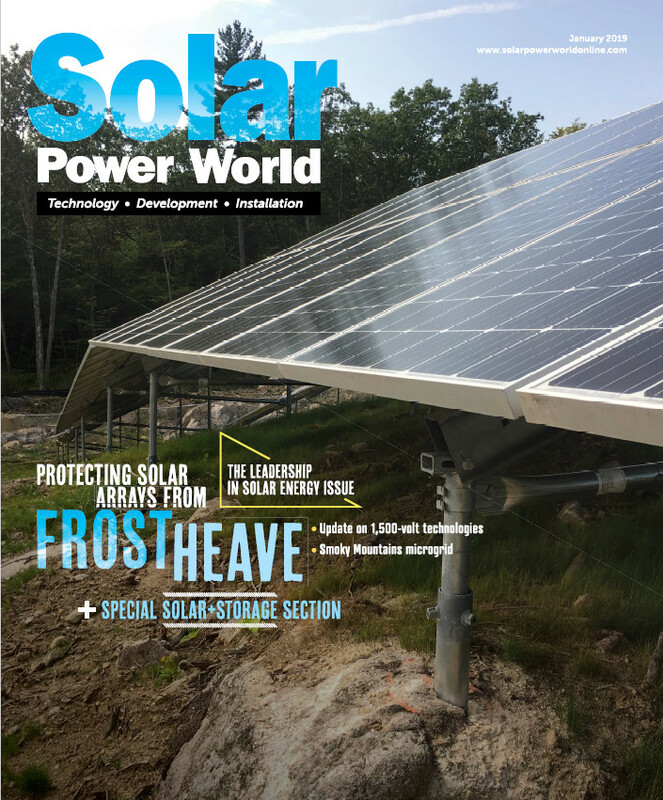 And how do they continue to push the envelope on inverter advancements? Improvements in semiconductor technology and circuit topology have enabled system temperature reduction and more efficient power conversion, allowing for greater density, smaller inverter footprints and the advancement of microinverters and other MLPE technologies. Conversion efficiency was the battle of the 90s and 00s. Most inverter manufacturers these days offer products that convert at 95 to 99% efficiency. Indeed, energy efficiency does continue to improve at minor increments, but the real challenges lie in the current market and consumer demands, as well as the path ahead. Smart grid, Rule 21 interconnection compliance that requires inverters to actively support the stability of grid frequency and voltage, as well as the amended standards as each phase progresses, has inverter manufacturers constantly working on standards compliance upgrades, developing solutions they can implement into their unique technologies and keep them ahead of the curve. Keeping up with these changes is the real conundrum. It is no longer possible for inverter manufacturers to design and build a product to meet today’s requirements—it has to meet tomorrow’s needs as well. Some manufacturers, like Seattle-based APsystems, use an FPGA (Field-Programmable Gate Array) circuit topology which allows it to make remote firmware changes to keep up with frequent regulatory and grid changes. While there are grandfather clauses for some installed and outmoded systems, most system owners would understandably prefer not to be saddled with an outdated inverter quickly made obsolete and unserviceable by changes in the fast-moving industry. Solar owners are no longer content with simply viewing their system production online. The monitoring and analysis platforms provided by inverter manufacturers have, by demand, evolved into reporting systems that rival some network operation centers in the level of detail available. Users and installers want to see a wide array of data points, including panel-by-panel energy production, energy consumption, frequency, voltage, amps, watts, notifications, alarms, even local temperature and weather, as well as historical data over time on all these points. Solar monitoring systems continue to become more integrated with home automation where users not only have this microscopic detail of their systems, but can also approach their home’s energy needs from a holistic standpoint. Combined with energy storage, these highly intelligent integrated systems help homeowners stay more informed and better manage their energy production and consumption. More intelligent monitoring systems allow for better troubleshooting on the part of the system installer, manufacturer and homeowners themselves. These solutions make getting to the root problem substantially easier; unlike years past when truck rolls and field replacements were the unequivocal fix to every mysterious problem. The level of detail available today means technicians can more often than not determine what the problem is, where in the array the problem is occurring, how often it is occurring and the events causing it to occur, such as a cable issue or grid fluctuations. Technicians can often fix these issues remotely by adjusting system parameters, sending out software updates, and, if a truck rolls is deemed necessary, they can give the field technicians detailed instructions on what needs to be done and how, saving them significant time on site. With a smart grid, and an even smarter inverter, the considerable number of aforementioned data points now need to be communicated back through the gateway and to the monitoring platform in the cloud. This means a steady stream of data is constantly flowing from the inverter to the internet—adding remote firmware upgrades to this creates a demanding bidirectional data flow and, for MLPE systems, traditional powerline communication isn’t going to cut it. Some manufacturers have switched to high-speed wireless options like Zigbee, creating a local 2.4-GHz mesh network for fast and reliable data communication back to the gateway, and a hardline Ethernet cable to the router to minimize data interruption. The grid and home will only continue to get smarter, and inverters will continue to advance to keep up. Solar inverter manufacturers juggle a staggering number of feature demands and technical requirements that are then magnified by the different countries and regions they do business in. The successful manufacturers are the ones that develop an adaptable design architecture that allows them to flexibly make frequent changes, stay keenly observant to market demands and regulatory changes, and keep a steady eye on the horizon. How should solar installers prepare for inverter failure? When the grid operator starts paying for support from battery systems at peak times, and inverters connect to the grid to sense and respond to this need, these features become more than bells and whistles. Same goes for sensing real-time pricing and responding by supplying house loads when prices are high and reconnecting to the grid when prices are low. The possibilities are endless and within reach today. most of the things you mentioned are absolutely not necessary, they are merely desired by a few tech types… If they drive the price up, and do not offer any actual increases in inverter efficiency, longevity or ease of use, then they are merely bells and whistles so that the maker can drive the price up..something we do not need.